Our amazing fundraising mission to provide an orphanage in 2014 for 12 girls in Nidamanooru - India, far exceeded our expectations. The goals we had set were met far ahead of schedule, and we are proud to announce that $27,000 was raised, providing a home than ended up being for 25 orphans, including boys and girls, instead of just the twelve we initially hoped for...isn't our Lord WONDERFUL! We'd love for you to see the video of the "OFFICIAL OPENING" of the Heart of the Hills sponsored, Angel House orphanage #71. Please type in the password, angels, to see these beautiful children who now have a new home. Photos of the children celebrating their first day "home". Click on images (below) to enlarge. In February of 2010, Lindsay Russo and her husband Dominic Russo were in India doing humanitarian work when they came across a group of orphaned children that changed their lives forever. Nearly 70 children, full orphans, had gathered into a tiny room with dirt floors and cinder block walls to eat their one and only meal for the day being provided by local pastors in the area. The children ranged from ages 3 to 12, and there wasn't a parent or guardian in sight. They were completely alone. These children had no families, no proper clothing, and no sense of stability whatsoever. They needed a place to call home. That night Lindsay couldn't sleep. She spent the night pouring over her journal with thoughts and ideas of what she could do to help. She had never done anything like it before, but turning her face from this urgent need was not an option. In those moments, "Angel House" was born. In the coming months, she began to tell anyone and everyone about those children she had met. The goal was clear, but the path to achieve it was foggy. She had to raise the money to make this dream of building an Angel House rescue home a reality, and that goal seemed like a lifetime away. She didn't lose heart and didn't give up, because nothing was too difficult when it came to those precious children's lives being at stake. In December 2010, the dream became a reality. 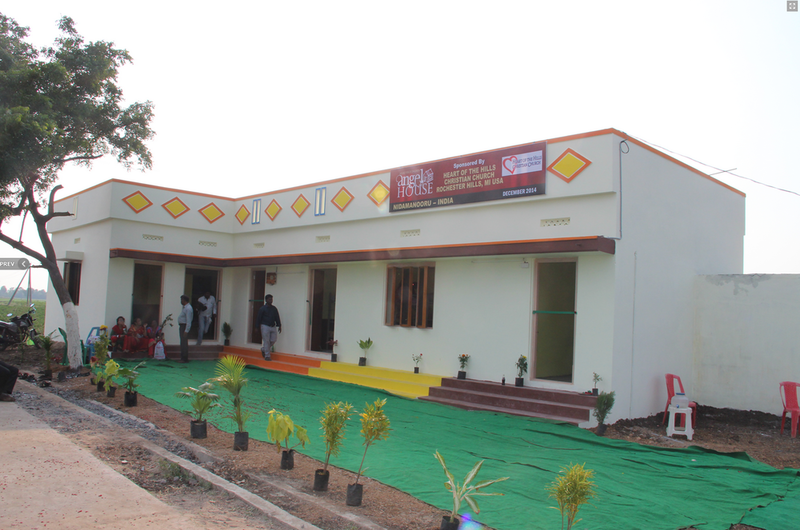 The very first Angel House Rescue Orphanage had its grand opening for 50 beautiful children in India. It was one of the most memorable days she and her team had ever witnessed as those 50 children ran into their new home like they were running into Disney World. Their eyes shined as they laid on their brand new beds – the first time they would ever lay on a bed or a pillow in their entire lives. The Angel House staff wrapped their arms around the children and welcomed them into more than just their new homes, but their new lives. As memorable and wonderful as the day was, there was something looming as the harsh reality set in – more than 25 million orphans just like those still lived tragic lives on the streets and in the slums with the same fate those 50 children once held. They didn't stand a fighting chance without someone coming to their rescue and putting their little lives in the hands and hearts of people who could do something about it. 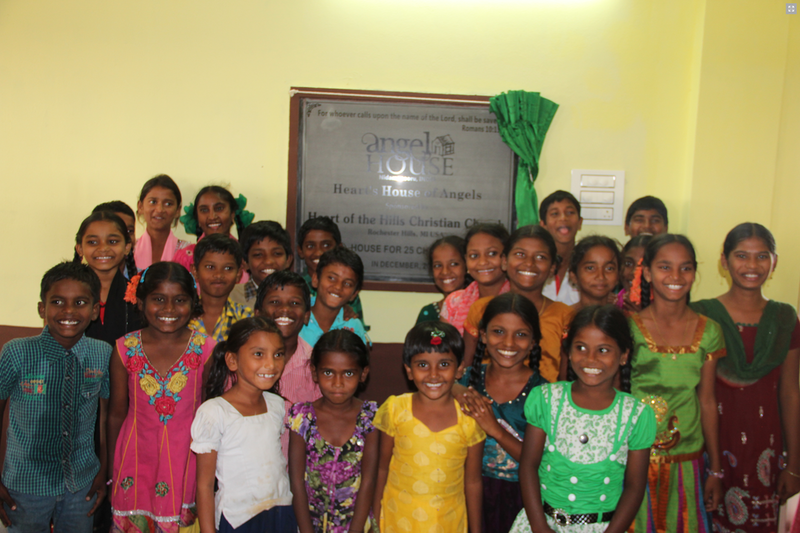 The Angel House team in India knew far too well the sobering fate of abandoned orphans. Without a miraculous rescue, each child was doomed to end up in one of three places: forced child trafficking, child labor, or begging on the streets for barely enough to get by. This is no life for a human being, let alone for a child.